COYHAIQUE, Chile, Aug 19 2014 (IPS) - The people of Patagonia in southern Chile are working to make the Aysén region a “life reserve”. Neighbouring Argentina, across the border, is a historic ally in this remote wilderness area which is struggling to achieve sustainable development and boost growth by making use of its natural assets. 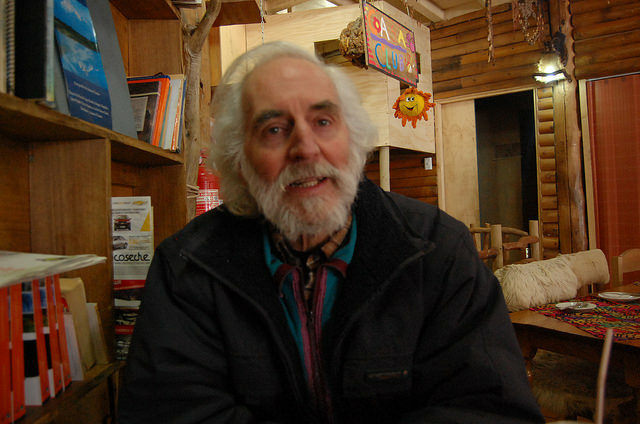 “The Aysén Life Reserve mega citizen initiative emerged as a theoretical proposal to have a special region with a special development model, one based on inclusive sustainable development, with and for the people of the region,” activist Peter Hartmann, the creator of the concept and of the coalition that is pushing the project forward, told IPS. “Many people say we want to chain off the region, but our aim is to use its good qualities, versus the megaprojects of the globalised world, which want to destroy them,” he said. The southern region of Aysén is one of the least populated – and least densely populated – areas in Chile, with 105,000 inhabitants. This chilly wilderness area of vast biodiversity, swift-flowing rivers, lakes and glaciers also offers fertile land and marine resources that are exploited by large fishing companies. 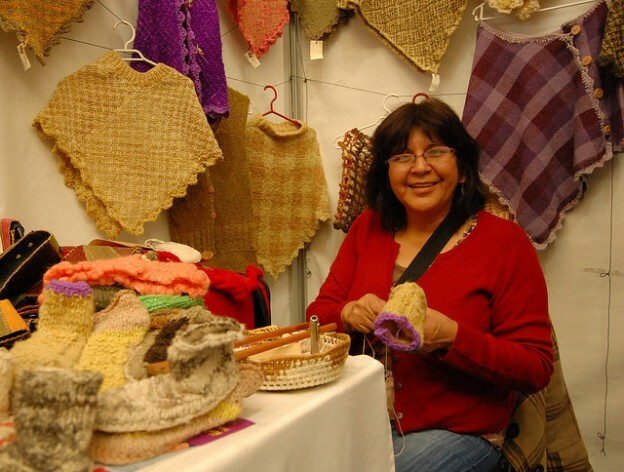 “We are tiny and insignificant in this enormous territory,” Claudia Torres, a designer and communicator who was born and raised in Aysén, told IPS with visible pride. Patagonia covers a total extension of approximately 800,000 sq km at the southern tip of the Americas, 75 percent of which is in Argentina and the rest in Aysén and the southernmost Chilean region of Magallanes. Patagonia is made up of diverse ecosystems and is home to numerous species of flora and fauna, including birds, reptiles and amphibians that have not yet been identified. It is also the last refuge of the highly endangered huemul or south Andean deer. Although it is in the middle of a stunning wilderness area, Coyhaique, the capital of Aysén, 1,629 km south of Santiago, is paradoxically the most polluted city in Chile, because in this region where temperatures are often below zero, local inhabitants heat their homes and cook with firewood, much of which is wet, green or mossy, because it is cheaper than dry wood. It is one of the poorest and most vulnerable regions of the country, where 9.9 percent of the population lives in poverty and 4.2 percent in extreme poverty. But these figures fail to reflect the poverty conditions suffered by families in the region, the regional government’s secretary of social development, Eduardo Montti, told IPS. “We are lagging in terms of being able to ensure basic living standards and essential services for the community and to make it possible for the different actors to develop in equal conditions as the rest of the country,” he said. But, he added, in May the government of socialist President Michelle Bachelet established a plan for remote or impoverished areas which recognises the disparities with respect to the rest of the country, thus helping to more clearly identify the most urgent needs. This is one of the few areas in the world that has largely kept its original wilderness intact. Much of the territory is under different forms of protection, including the Laguna San Rafael National Park, a UNESCO World Biosphere Reserve that contains a coastal lagoon and glaciers. The region as a whole is also seeking world heritage site status. “The model we are building is aimed at strengthening economic development on a local scale, in a democratic fashion, and not with models imposed on us – development that is cooperative and economically and environmentally sustainable in time, under the premise that we are all just passing through this life and that you have to give back what you take,” Torres said. “We don’t see this as a life reserve exclusive to Patagonians, but for the whole country. For example, I don’t have problems with the region sharing water with areas that suffer from drought.” But water for crops, drinking, or living – not for big industry, she clarified. Chile’s Patagonians have a powerful ally in this endeavour: the Argentine side of Patagonia is fighting against the use of watersheds shared with Chile, by mining corporations. “There is a common element in this big fight: water,” Torres said. The two sides of the Andes share a long history of close ties and traditions which makes Patagonia one single territory, of great value because of its biodiversity – but highly vulnerable as well. “We don’t feel like Chile, we feel like Patagonia…Chilean and Argentine,” Torres said. From the start, the Aysén Life Reserve has shown that it is more than just an idea on paper. Hartmann pointed out that three community-based sustainable tourism enterprises have been established, financed by the Fondo de las Américas (FONDAM). “We trained the communities in how to take care of their own territory, and in community-based tourism. That gave rise to a successful school for tourism guides,” he said proudly. “Artisanal fishers from Puerto Aysén have also been making an effort to make their work more sustainable; there are exemplary garbage collection projects, and many crafts are being produced using local products, which is super sustainable,” he added. Then there is “Sabores de Aysén” (Tastes of Aysén), a stamp that certifies quality products and services reflecting the region’s identity and care for nature. There is also a solar energy cooperative with a steadily growing number of members. The Life Reserve project, Hartmann said, has two dimensions: awareness-raising and citizen participation. An Aysén Reserva de Vida label was created for sustainable products or processes, to make them more attractive to local consumers and visitors. The idea of making the region a “Life Reserve” is cross-cutting and has managed to win the involvement of varied segments of society – a positive thing in a region that was highly polarised after 10 years of struggle against the HidroAysén hydroelectric project, which would have built large dams on wilderness rivers but was finally cancelled by the government in June. The local population was also divided by the mass protests over the region’s isolation and high local prices of fuel and food that broke out in 2012, under the government of rightwing President Sebastián Piñera (2010-2014). There are a few problems with this article that might escape the casual or careless reader. One is a simple but deliberate misrepresentation (also known as a lie) – in saying that the city of Coyhaique “…. is in the middle of a stunning wilderness area…” In reality, Coyhaique is in the middle of …..a large ranching and farming area. Farming and ranching are the largest industries in the region and employ the largest number of workers. Aysén already pays the least to the Chilean national treasury, through taxes, than any other region in Chile. And conversely, Aysén receives the largest per-capita distribution of public monies of any region in Chile. They pay the least, and receive the most. One of the main political platforms in Aysén is (1) forbidding the commercial sale of hydroelectric energy to any other region of Chile, to pay for its extensive social programs, but (2) Aysén wants the national government (and public monies) to pay for cheap hydroelectric power for the exclusive use of Aysén area inhabitants. Aysén is a region in which there are enormous holdings by foreign organisations that are trying to promote tax-supported privileges for their operations. Rather than paying the market rates for transporting fuel and food to the region, these operations, in cooperation with local organisations, want to have Aysén receive huge subsidies to be paid for by the rest of the country. Of course they won’t tell you any of that. Instead, they will disguise their real demands with words like “awareness raising” and “sustainability.” But really they are only looking for huge subsidies and avoidance of the responsibility to produce anything that will pay for the goods and services that they are demanding. This is a misleading comment. Coyhaique itself is not wilderness, but there’s plenty of wild country in and around it, though the ranching companies were responsible for deforesting large parts of the Andes and silting up Puerto Aisén itself (farming as such is virtually non-existent, but fishing is significant). The government of the day promoted environmental destruction, and the massive hydroelectric projects would exacerbate this unfortunate history. By the way, Aisén already has Chile’s highest fuel costs. One reason it pays so little in taxes is that its population is tiny. It needs infrastructure investment before it can become truly prosperous, and the “foreign organizations” are helping with this. Regarding the comment on Aysén having Chile’s highest fuel costs, this is also incorrect. I know the owner of the COPEC station at the edge of Pto Aysén and we compared retail prices at COPEC stations in Chilean Patagonia. The highest prices, consistently, are in the XII Región, to the south of Aysén, specifically in Puerto Natales, Porvenir, and Cerro Sombrero. The activists in Aysén are experts at chamullo. During the recent rebellion in Aysén there was a misleading public relations attempt by the rebels to characterise Aysén costs as the highest, but this was done by citing prices asked by backyard “pirate” resellers, who unlawfully sell in places like Puerto Ingeniero Ibáñez. If you were to compare the prices of XII and XI Region pirate resellers, then the XII prices would also come out higher. In other words, no, Aysén does not have the country’s highest fuel prices. In fact, Puerto Aysén often has COPEC station prices that are lower than many COPEC stations in the X Región.